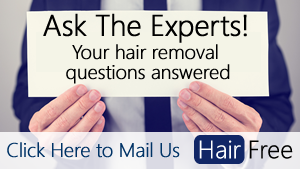 Removing hair in and around the genital region is one of those lifelong dilemmas of what to use and how to use it. However, as long as you do a patch test first and you follow the instructions to the letter, you may find that hair removal creams are the best option for you, whether for a touch up between waxes or as a full time hair remover. Short Version: Which is the Best Genital Hair Removal Cream? If you follow the above recommendations you will most likely find yourself with an irritation and hair-free nether region. If you don’t you might experience some uncomfortable burning down there, so be cautious! ​Always the favorite when it comes to hair removal creams, Veet’s Gel Hair Remover Cream is the one most people use for the genital area. We recommend using the sensitive formula for an added barrier, due to the sensitive nature of the area. Veet’s formula contains hydrating agents to make sure that the cream doesn’t dry out the skin, and the sensitive option is also enriched with aloe vera and vitamin E to protect and heal. The cream comes in an easy-access pump dispenser bottle and with a small spatula. The spatula really helps you apply the cream correctly to the genital area, ensuring that you don’t miss anything, but also that you don’t apply it to the very sensitive areas. In addition to all of this the cream is fast acting and can remove hairs within 5 minutes. Perfect for anyone who is in a rush. Nair actually sell a cream that has been specifically designed for the bikini area, but Nair Shower Power Sensitive Formula works just as well, if not better on the area, and you also get more for your money. As with the Veet option above, we recommend the sensitive skin option just because the genital area is sensitive, no matter your skin tone or sensitivity! Nair’s hair removal cream products always seem to smell a little more potent than Veet’s, but this one is quite bearable. The great thing about Nair Shower Power is that it can be used directly in the shower, so while the cream is working you can spend your time shaving your legs or exfoliating your face. Nair Shower Power Sensitive Formula comes in a bottle with pump dispenser and with a sponge applicator. A plastic spatula is a better option for applying the cream, but the sponge works fine too. You really need something to apply the cream – a spray isn’t precise enough, and you need one hand to hold the mirror. Magic Shave Shaving Powder Gold was initially created for black men to use on their facial hair, to help avoid the appearance of shaving-related skin irritations that darker skinned men are more prone to. It’s an extremely cheap and a highly effective hair removal cream for the genital area for both men and women of all skin tones. The powder is mixed with water (it mixes best with a fork) and applied with a spatula. For best results one should remove the cream mixture using a wash cloth with a firm wipe against the grain. When used correctly you will find that it leaves the area super smooth and hair-free, and also irritation-free. It’s a tad messy to mix, but once you get the hang of it the process won’t take more than a couple of minutes. And at that price you really can’t ask for a better hair removal product, especially as you get quite a few uses out of a small can. While the Veet and Nair creams listed above are formulated for women and work best on women’s hair and skin, and the Magic Shave Shaving Powde﻿r works on both male and female hair, the Nair Men Hair Removal Body Cream should only be used by men. It has been designed specifically for the coarser male hair and skin. The cream is highly effective and will remove hair within a few minutes (10 minutes at the most). As with the other creams listed above, when used down below this one should also be applied with a spatula and removed with a wash cloth. It does not come with a spatula so that is something to keep in mind before using! It does come in a pump dispenser bottle and can be used in the shower which makes it very handy. If you're new to using any specific brand of depilatory creams then it's really important that you do a patch test. ​A patch test is designed to test for any kind of allergic or bad reaction to the cream. You simply apply a small amount of the cream to a non sensitive body part (usually your arm). Leave the cream for the recommended period of time and wipe it off when done. You can then monitor your arm over the next few hours for itching, burns, redness and any other side effects. I want to wear a thong bathing suit but don’t want to get waxed..is there any depilatory that you can use there? Id try the veet gel hair removal, sensitive formula, if you haven’t already found a solution. You can use the genital hair removal creams recommended in the article, but put on a thong for protection to make sure that you do not get any cream on the inner lips. Carry out a patch test on a small area first and follow all the relevant precautions given in the instructions.